Our Founders have just had their first children, triplets! And well probably their last too, since 3 kids are hard to manage. 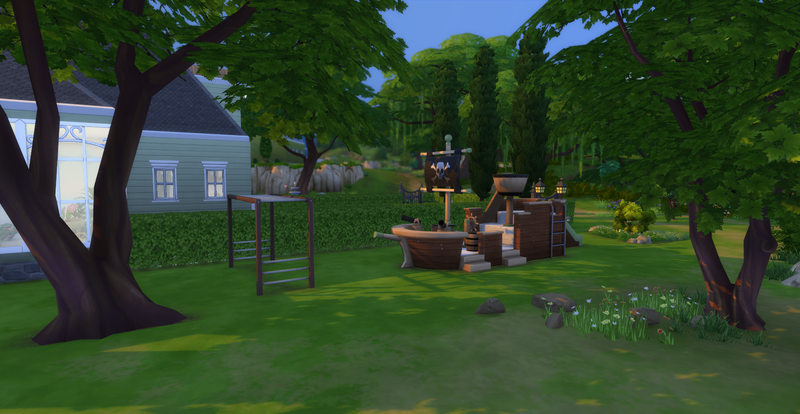 Before having the triplets, Deaglan and Siobhan had been living in a very nice suburban home in the middle class neighborhood of Willow Creek called Pendula View. They were provided this house from the Family back in Ireland, Deaglan’s uncle owns it as an investment property. They loved the house because it was beautiful, well furnished and in a good neighborhood. Sadly with the birth of the triplets this beautiful house is now too small for their growing family, especially if they plan to have 26 generations living out of it in the future! 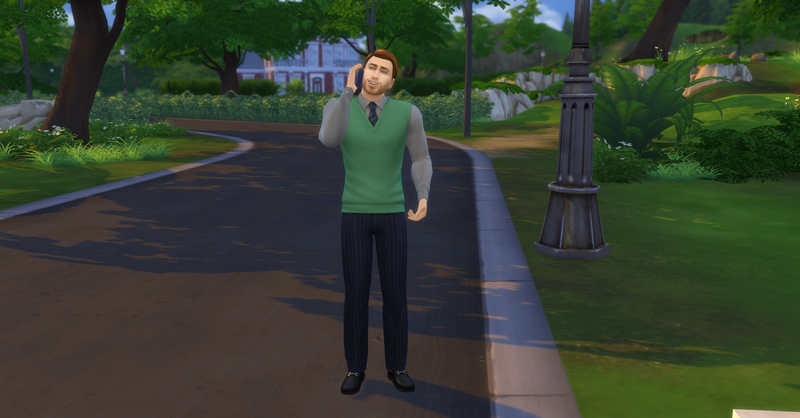 So Deaglan makes an expensive long distance call to the Patriarch of the Slainte Family to discuss buying or building a new house for them and their new children. “Ok… I agree that I will contribute §100,000 to the building process. Deaglan started planning right away and quickly had the blueprints ready for the contractors to start the actual building process. 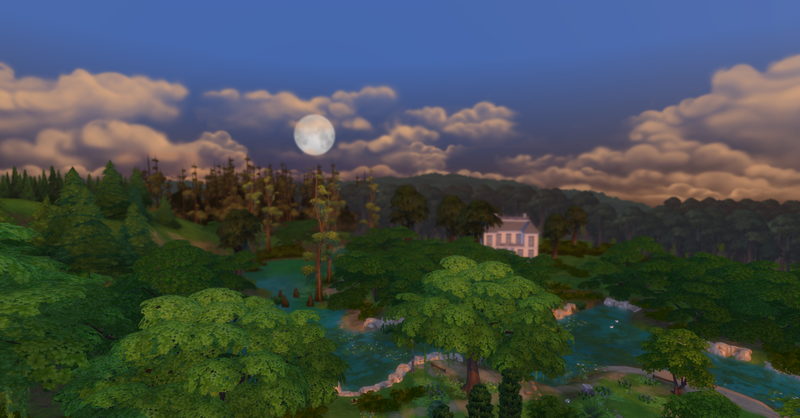 The Slainte’s also took this opportunity to move to the upper class neighborhood of Willow Creek called Sage Estates, they need lots of room to build Deaglan’s dream mansion for his family. Very soon the new house was almost finished, they had been living in their old home while this one was being built. While both he and Siobhan had really loved their old house in Pendula View, the lot was small compared to the vast estates back in Ireland and the school district left much to be desired. When looking for a new property there was much for them to take into consideration. Deaglan, always the businessman, was interested in the property value of their new home as well as making sure they would have a wonderful memorable home to raise many generations of families in. While Siobhan was very concerned with the quality of the school district for her new children and if the neighbors had any children for them to play with. After much debate Deaglan and Siobhan were able to come to an agreement about the location of their new house. They chose the Oakenstead lot in the Sage Estates neighborhood of Willow Creek. Sage Estates is the most wealthy and exclusive of all the neighborhoods in the area and their new property is right off the water and has a beautiful view of the lighthouse and sailboats sailing by. There are also several fishing areas and collecting spots by the river that runs behind the house. However Siobhan will miss the fact that there was a small playground in their old neighborhood. She was never able to take her children there before they moved, but Deaglan has created this house with such care that none of the Family will want for anything, including a playground! The new house is finally finished! Deaglan was able to decide on every option for this house, unlike their previous house which had already been built and furnished. 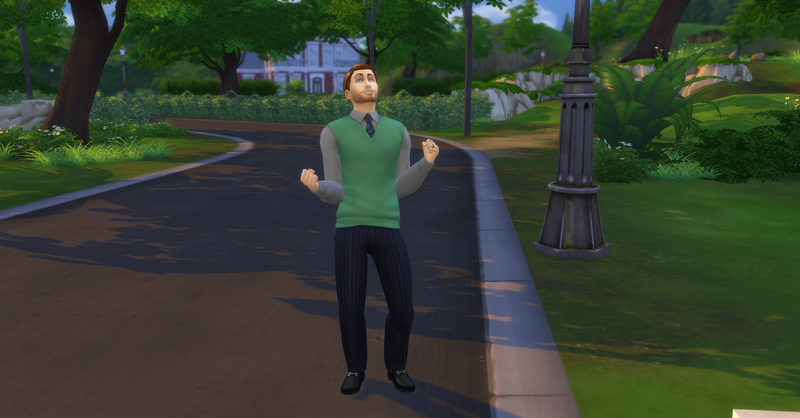 He had originally planned to name the mansion after the Family but all the other houses in Willow Creek had creative names so he decided to call it Barondale as a reminder of the prestigious origins of the Slainte Family back in Ireland and (hopefully) a nod to the success of the future generations as well. The mansion cost §1,094,027 simoleons, Deaglan contributed §100,000 leaving the Family with a measly §34,957 left in their account. The Family back in Ireland contributed the majority to the construction costs at §994,027! That is some million simoleon mansion the Slainte Family built! 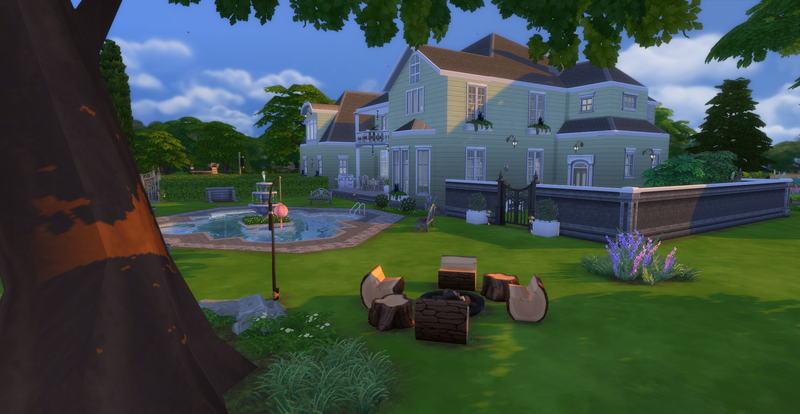 The back of the mansion with veggie garden to the right and the walkout basement behind the hedge. The walkout basement area, the basement is where all the Family’s bedrooms are. 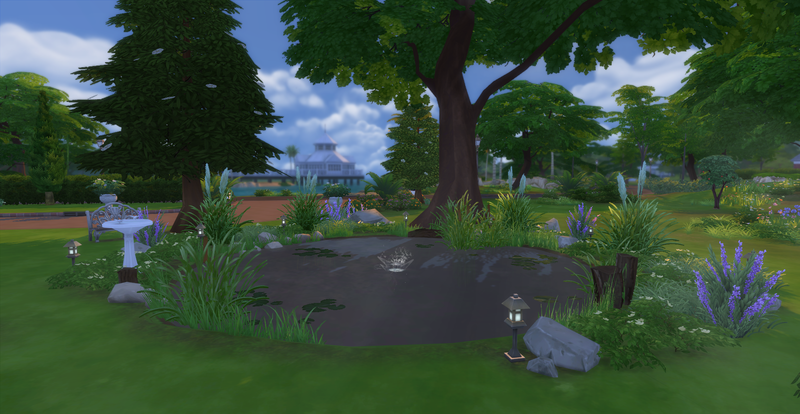 Deaglan dug a lovely fishing pond in the front yard which he stocked with the rarest fish he could find. And he didn’t forget to build a fun playground for the children to enjoy. 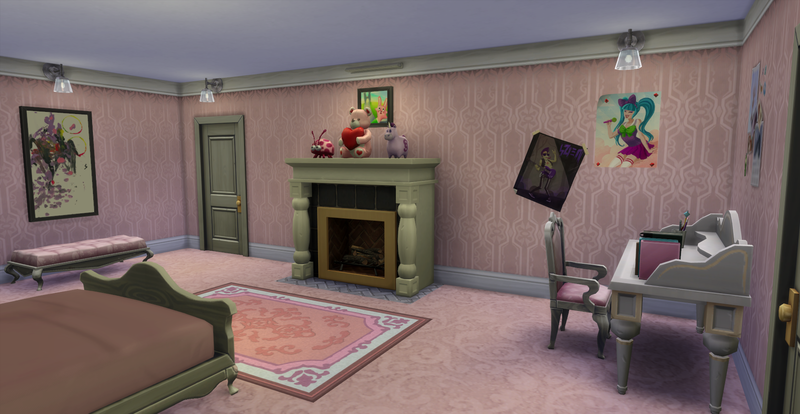 Deaglan and Siobhan designed and decorated the entire house specifically for their new family. Deaglan didn’t forget about himself and Siobhan’s comfort and taste either, he created a beautiful master suite with his and hers walk-in closets, a romantic fireplace and a spa like bathroom. The luxurious master retreat with a pool view! 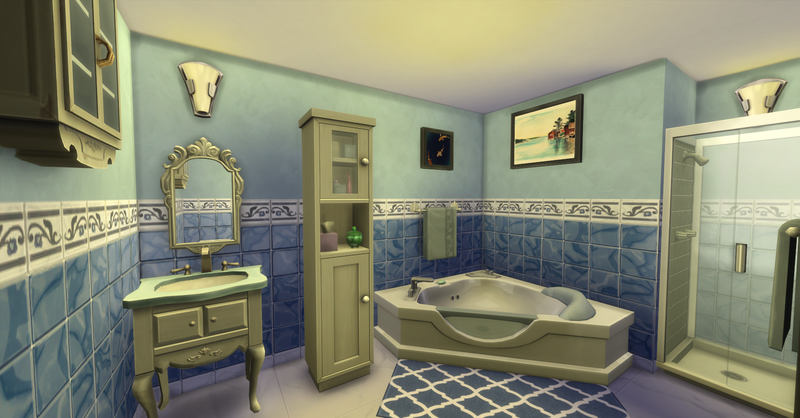 The master bath complete with jetted tub. They spared no expense with their children’s rooms either, since that was the whole reason for moving and building a new house. 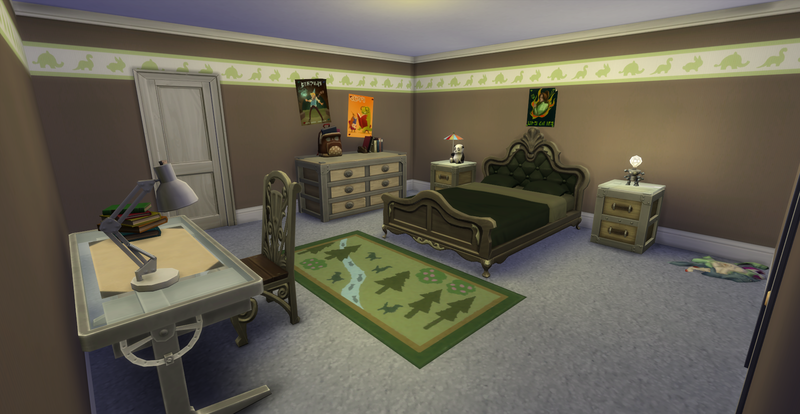 They designed each of their children’s bedrooms specifically for their individual needs and traits. Each son gets their own bathroom, they are identical to avoid sibling rivalry. 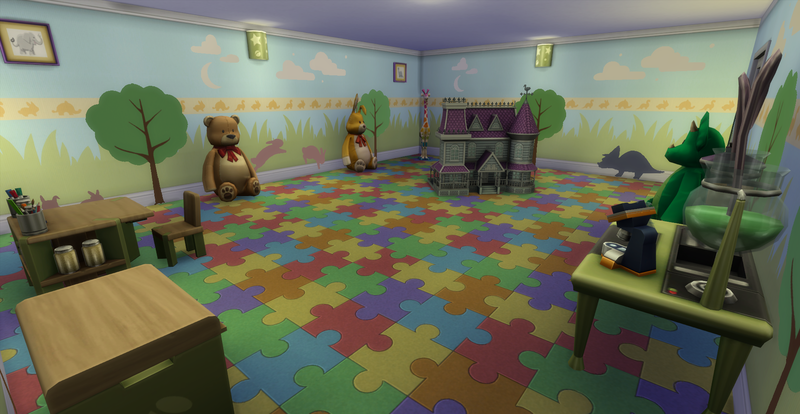 Deaglan even created a wonderful playroom for their children to learn and play in! 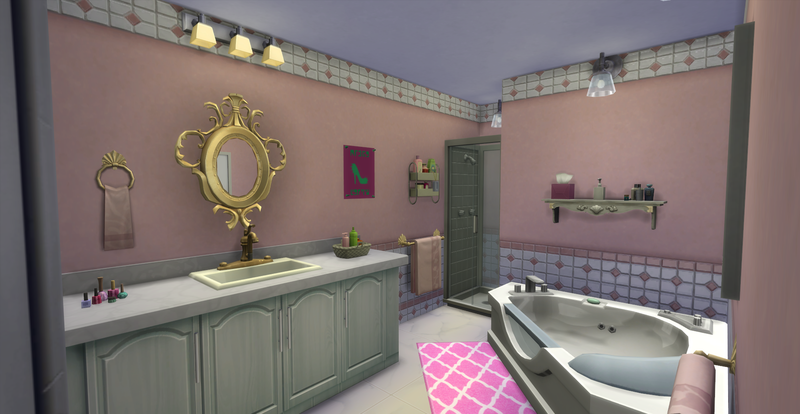 I’m not going to ruin the surprise of the rest of the house, I am sure you will get to see it during the rest of the legacy. Stay tuned for Chapter 4 – Introducing the “A” Generation! Oh, it’s getting interesting! Also, that house is amazing, I love it. I know! It’s going to get even more interesting when they get their first set of bills in the new mansion, they only have $34,957 in their account at this moment! That lot is unrecognizable, the mansion is so amazing. The walk-out basement and garden is so elegant looking, and what a great way to arrange the bedrooms, with that view. 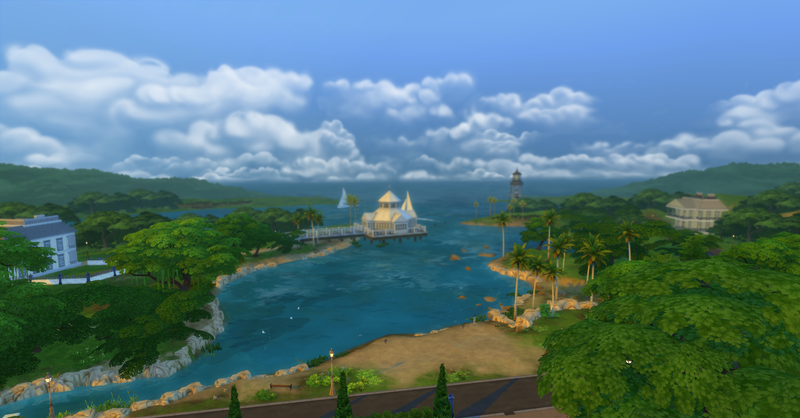 I love this house so much, I miss the terrain tool from TS3 and this is the first time I have been able to create some type of elevation changes.